In May, Momocon will open its doors once more for its annual event. At Momocon 2018, there will be everything anime, manga, comics, and gaming related. 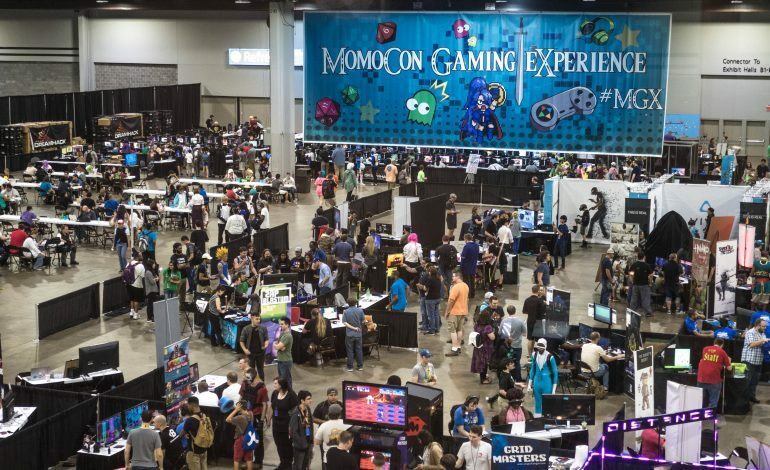 To celebrate games this year, Momocon will be hosting their 3rd annual Indie Game Awards Showcase, and the 20 finalists have just been announced. In addition, Georgia-made Colours and Shapes, SiNKR, TwinCop, and Zap Blastum are also qualified for the Momocon Georgia Award, an additional awards ceremony with a $1000 prize dedicated to rewarding Georgia developers for their feats. The developers of the chosen five games in the Indie Game Awards Showcase will receive a $1000 prize, a free 10 x 20 exhibit space for Momocon 2019, a dedicated panel at Momocon 2019, a highlighted placement in a Momocon newsletter that will go out to tens of thousands of gamers, and to top it all off, they will win a glass trophy. The developers of last year’s Indie Game Awards Showcase winners, Immortal Redneck, Talent Not Included, Shadow Tactics: Blades of the Shogun, Distance, and The Banner Saga 2, will also be present at Momocon 2018. Momocon 2018 will run from May 24 to May 27 at the Georgia World Congress Center in Atlanta, Georgia. The 5 finalists will be selected during a ceremony on Saturday, March 26. Passes for Momocon 2018 are available for purchase for either individual days for $30 – $50, or a 4-day pass is available for just $60 – $70.